Why Should You Hire a Personal Injury Attorney in Wisconsin? - Crooks, Low & Connell, S.C.
Why Should You Hire a Personal Injury Attorney in Wisconsin? If you or someone you care about has been hurt or killed in an accident in the state of Wisconsin due to the negligence or bad acts of someone else, you need a personal injury attorney to help you get the compensation you deserve. Here’s what a personal injury lawyer at Crooks, Low & Connell, S.C can do for you. 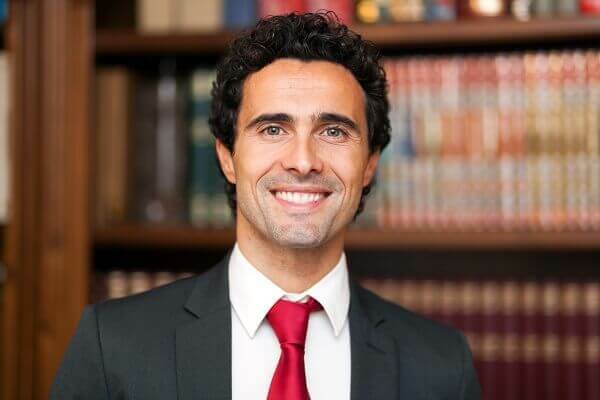 The expertise and legal advice of a personal injury attorney can be invaluable during the process of pursuing your claim, especially if there will be a dispute about who is responsible for the crash. You–your injuries, your mounting bills, your pain and suffering–are not the priority for the insurance company. In evaluating your claim, the insurance company is looking for ways to lower their own costs, including minimizing their responsibility and your damages to avoid paying your settlement. A personal injury attorney can put the focus back on you to help you make a successful claim and represent your best interests throughout the process. In settling a personal injury claim without a lawyer, the insurance company is likely to offer you just a small fraction of the amount of money you could otherwise get from your claim. If you have been seriously injured, you have hospital bills to pay and a family to support. You are missing time from work and may be less able to work in the future as a result of your injuries. A personal injury attorney knows how to maximize your settlement so you can pay your bills and continue to provide for your family, even if you can no longer work. After your injury, you could be contacted by many people representing the other side, with various offers. To make sure you are compensated for all aspects of your damages, it is crucial that you avoid making any agreement until your lawyer has examined the details. If you are entitled to financial compensation, it can be intimidating to speak with insurance adjusters on the phone and make sure your rights are protected. Often, there are additional insurance companies involved in a claim–such as those who paid your medical bills–that can provide another layer of complexity and worry when you should be focusing on healing. A personal injury attorney will speak with the insurance companies for you so that you can focus on your recovery. He or she will take over all contacts with the insurance adjuster, and will often work with any involved health insurance companies to negotiate a settlement distribution that will make you whole. Unfortunately, many victims make the costly mistake of attempting to navigate their personal injury case alone or with the wrong people. The attorneys at Crooks, Low & Connell, S.C. have the experience and dedication you need to get the compensation you deserve from your personal injury case. Many people will contact you representing the other side. Make sure you have someone on your side to represent your best interests. If you or someone you love has been injured or has died because of someone else’s negligence, let our lawyers help you and your family members get justice. To schedule a consultation, call our offices in Wausau, WI at (715) 842-2291 or complete our online contact form today.